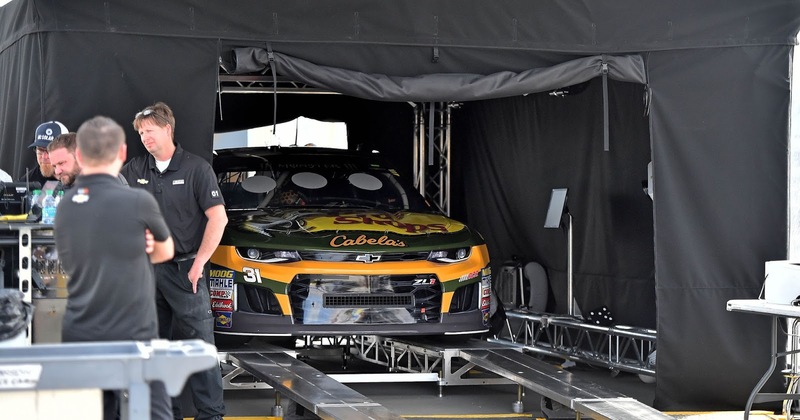 Last Friday, 13 Monster Energy NASCAR Cup Series teams failed to pass pre-qualifying technical inspection at Auto Club Speedway in Fontana, California. As a result, those 13 teams – fully 1/3 of the field -- did not make qualifying runs, relegating themselves to the rear of the field for Sunday’s running of the Auto Club 400. That sounds like a significant penalty, but it’s not. In a 400-mile marathon event, a 100-yard disadvantage is negligible, at best. And on a track like Auto Club Speedway, where tire falloff begins virtually at the drop of the green flag, the ability to start the race on new tires – rather than tires with a minimum of six qualifying laps on them – is seen by many observers as an advantage. Polesitter Martin Truex, Jr., was candid in his assessment Friday, saying that unless a driver was starting in the front two rows, it would be advantageous to start at the rear of the grid, on new rubber. Dealing with what former NASCAR official Jim Hunter affectionately called “bamboozlement and chicanery” is nothing new. The winner of NASCAR’s first sanctioned race in 1949 was disqualified for utilizing non-stock suspension components, and the technological tug-of-war between racers and officials has continued unabated, ever since. NASCAR's Miller: "Too many illegal cars." But at Auto Club Speedway, a two-mile oval where aerodynamics are critical to a car’s performance, the temptation for teams to grab every possible advantage was apparently too much to resist. Team after team tested NASCAR’s new Optical Scanning Station Friday, failing multiple pre-qualifying inspections in an embarrassing sideshow for both them and NASCAR. 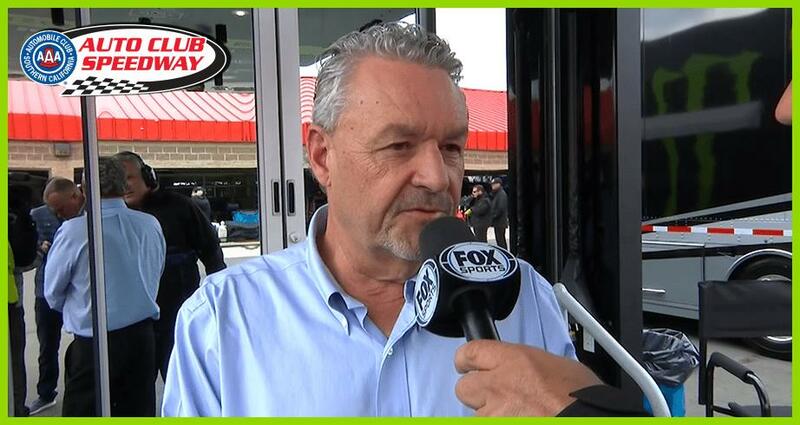 Todd Gordon, crew chief for Joey Logano’s No. 22 Team Penske Ford, went a step further, telling Sirius XM NASCAR Radio that he believes some teams intentionally failed pre-qualifying inspection Friday, in an effort to start the race on new tires. 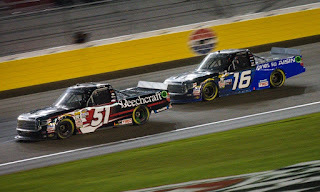 Late Friday evening, NASCAR responded to its latest rules controversy, announcing that drivers who had made qualifying attempts would be allowed to bolt-on new tires for the start of Sunday’s race. The following day, the sanctioning body went a step further, telling Xfinity Series competitors that teams failing pre-qualifying inspection would be required to pit on the opening lap of the event for a “pass-through” penalty, leaving them at least one lap down to the field. 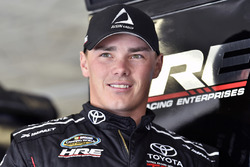 Not coincidentally, every NXS team passed pre-qualifying inspection, with flying colors. While altering procedures in the middle of a race weekend is not ideal, NASCAR can be forgiven for shuffling the deck at Auto Club Speedway. The sanctioning body should never allow teams to profit from creating – intentionally or not -- the kind of debacle witnessed at Auto Club Speedway last Friday. And they should never reward teams for giving anything less than their best. The sanctioning body’s new “first lap pass-through” policy is expected to continue this weekend at Martinsville Speedway and for the remainder of the season. Hopefully, the new sanction will convince teams to arrive at the speedway with legal race cars and race them to the best of their ability.